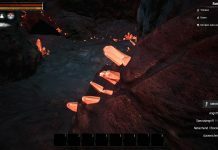 The new dye system was recently added to Conan Exiles as part of the March 23rd patch. Painting is never easy, you have to grasp colour coordination and learn basic painting techniques. 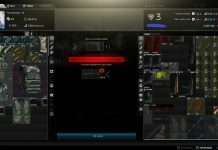 In this article, we will provide you an easy to follow step by step tutorial on how to create a custom colour and add it to your character’s armour. 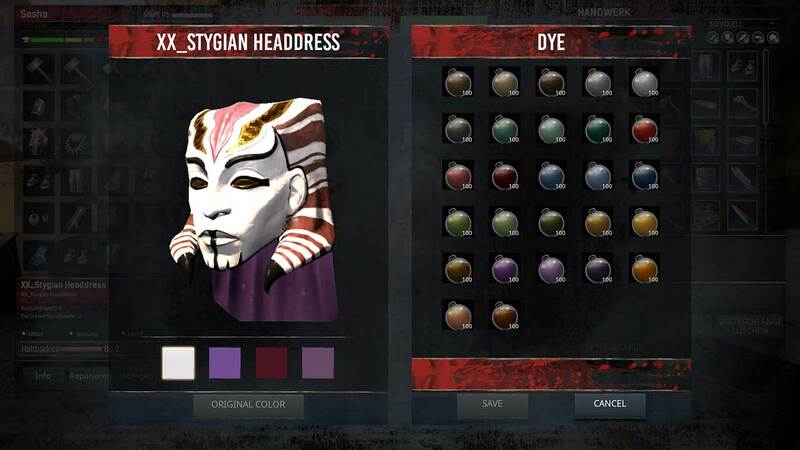 Players are able to collect paint from many different resources and create dyes with them. However, to do this, you need glass flasks full of water. To create a flask, you will need to craft a glass flask mold at a blacksmith bench. This will require 15 iron bars, but the flask mold can be used more than once. Next, you will have to place the mold into a furnace with glass then watch chemistry work its magic. 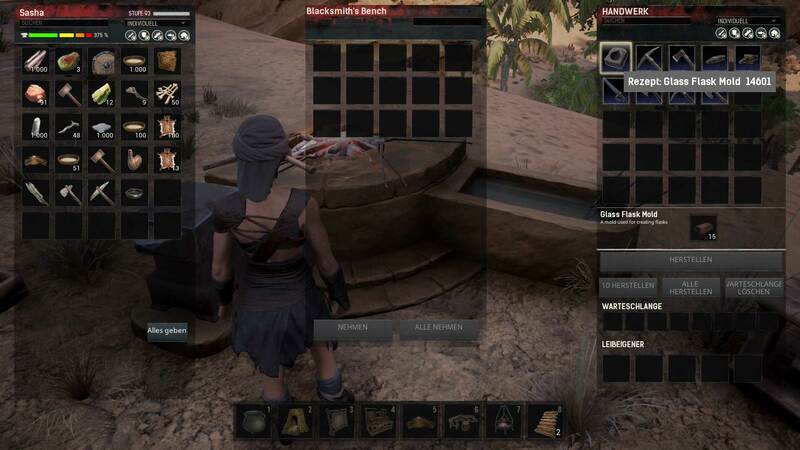 The blacksmith bench where you create a glass flask mold in Conan Exiles. If you want access to a variety of colours, you will have to seek out the resources needed for each pigment. These include plants, sulphur, tar and insects. When you combine the required ingredients together, fill the glass flasks to the brim with water. Now place the water filled flasks and the resources in the cauldron. With this you can create your colours. Just a note; black and white are not allowed to use for colouring your clothing. There are 27 colours to choose from and you can use any of these to lighten or darken another colour. Simply select your armor and click the “Color” button. There are a variety of colors at your disposable. The possibilities are endless! 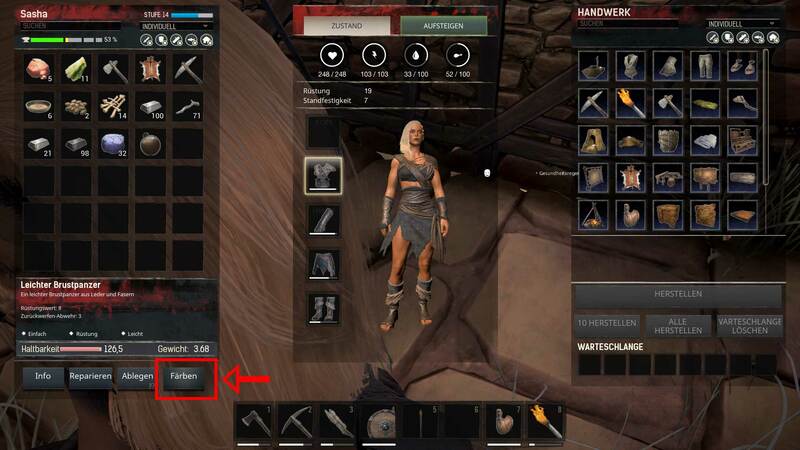 How your dyed clothing and painted armor look in the game. When it comes to armour colouring, you will have a much easier time using the colour bottles from your inventory. Select the armour you wish to colour then click the button labelled “Colour”. Now you customise the armour’s colour to your liking. 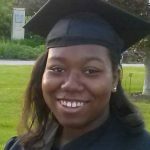 Hope this provided helpful guidance with using the dye system! 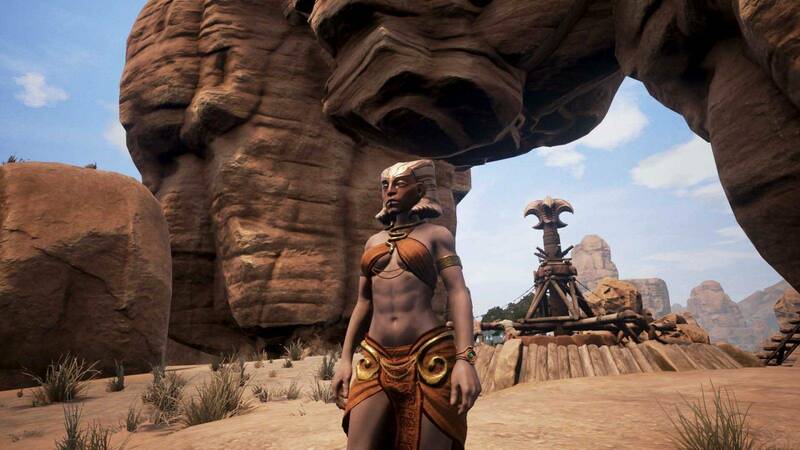 Come back to Survivethis for more Conan Exiles news. 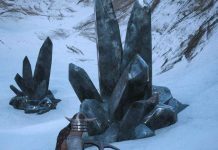 Previous articleConan Exiles – Patchnotes from March 23rd – New Dye System, Ruins System & New Weapons!